Home / Treasury / Articles / What Is the Semantic Web? The Semantic Web is the knowledge graph formed by combining connected, Linked Data with intelligent content to facilitate machine understanding and processing of content, metadata, and other information objects at scale. The Semantic Web leads to smarter, more effortless customer experiences by giving content the ability to understand and present itself in the most useful forms matched to a customer’s need. Semantic standards unlock a crucial evolution of the web towards intelligence that allows the content we post online to be presented in a way that can be understood, connected, and remixed by machines. Semantic Web content structures form an essential basis for a reliable graph, or map of knowledge, necessary for true artificial intelligence (AI) beyond basic Natural Language Processing (NLP) and Natural Language Understanding (NLU). AI will always remain niche applications built against a limited corpus of content until structure and semantic standards exist across content sets. Adopting Semantic Web approaches to content gets publishers closer to globally-machinable sets of content. Content engineers are creating a more powerful and agile web of content and data by first parsing and structuring the discrete elements of content that constitute websites, such as people, events, ideas, concepts, products. These elements are then assigned a “label” describing its meaning in a standardized language. When such machine-readable descriptions are present, they can be linked to build a more robust web of data where computers can find, read, and even reason about a unit of content. We can see the application of semantic data in various places throughout the web, such as those in certain search experiences. Because of this rich, new layer of information, search engines and other bots are able to provide the most relevant content directly to the user, edited to the most important snippets that save humans time and effort. The Semantic Web not only improves traditional search, but it is facilitating more seamless, intelligent, and integrated customer experience journeys as well. For example, with semantically connected and described data, a digital assistant could send users local live music recommendations in their area. This could be possible by gathering and connecting disparate data published on the web, like information that nearby venues post online, and matching it to the data about the type of music a user has chosen to share on their online playlists. The applications of the Semantic Web are endless, but we cannot take advantage of these possibilities until we have a truly intelligent web of global knowledge. We must make our content "semantic", or annotated with meaningful metadata and relationships, to transform dull and dormant fixed-text into live and electric linked concepts. This transformation is making the web much more dynamic, allowing not only content, but also data, to travel freely and seamlessly. To understand the principle behind how the Semantic Web evolved, imagine a jukebox. This classic machine plays the song a patron selects through the push of buttons. As the jukebox contains a limited amount of recordings that must be selected manually, the web before semantic technologies were introduced worked in much the same way and had many of the same limitations. Users had to manually pull requests from limited resources: web pages, directories, documents residing on different servers, etc. Machines could not find, read, or let alone use this content. Through the decades, on-demand music technology has evolved from jukeboxes to give us intelligent digital platforms like Spotify or Pandora. These “Semantic Music” services let us discover the right content out of millions of songs without listening to all of them, build human- and machine-curated collections of music, and perhaps most excitingly — "magically" discover new songs that match our interests. How do Spotify and Pandora do this? Or, how do their cousins Netflix, YouTube, AirBNB and Amazon manifest their forms of "customer experience magic"? You guessed it! Through the use of semantically rich Linked Data and content. The web has been evolving towards semantics since it was a glimmer in Tim Berners-Lee’s vision. Instead of humans manually searching from a limited list of links, now algorithms navigate a vast amount of increasingly structured content sets available to answer specifically or act upon a certain query. Data, enriched with semantics, structure, and meaningful, machine-interpretable links allows computers to find and manipulate information on our behalf with greater precision. This results in better experiences of content discovery and search, and broader opportunities for the seamless share, recombination, analysis, and reuse of data with less human-manual-human interaction in the loop. Semantic experiences make it easier for humans to perform creatively and encounter frictionless content experiences, while a machine does the finding, sifting, sorting, combining, organizing, and presenting of real answers. The Semantic Web provides a lingua franca for representing and working with data. The technological framework to bring the semantic vision to life is built on standards, developed, agreed upon, and published by the W3C. These standards aim to provide a uniform and interoperable way of representing and managing data and content so that it can be easily shared and reused across applications, enterprises and individuals. The technology stack that supports the Semantic Web is designed to enable computers, software systems, and people to work together in a network. It consists of a wide array of technologies, the most important of which are: RDF, SPARQL and OWL. RDF stands for Resource Description Framework and is a method for publishing and linking data. It is built around the following Web standards: XML and URL (URI) and uses the model of the “triple” — three elements (namely a subject, a predicate and an object) bound together, with the relationships between them formally described. Triples, when there are enough of them, form a rich graph of knowledge. SPARQL stands for Protocol and RDF Query Language and is the way data stored in RDF format gets queried, retrieved and manipulated on the Semantic Web. It is SPARQL that allows us to navigate diverse databases and discover relationships between data. Those familiar with SQL will notice the differences in capabilities between the query languages. OWL stands for the W3C Web Ontology Language. OWL is a logic-based language, designed to be interpreted by machines so that they can automatically process and reason through the information it describes. How Do We Get Started With the Semantic Web? The Semantic Web takes a village. We need to graph our own content sets and connect them to globally related content sets. Start locally. Start at home, in our own enterprises. 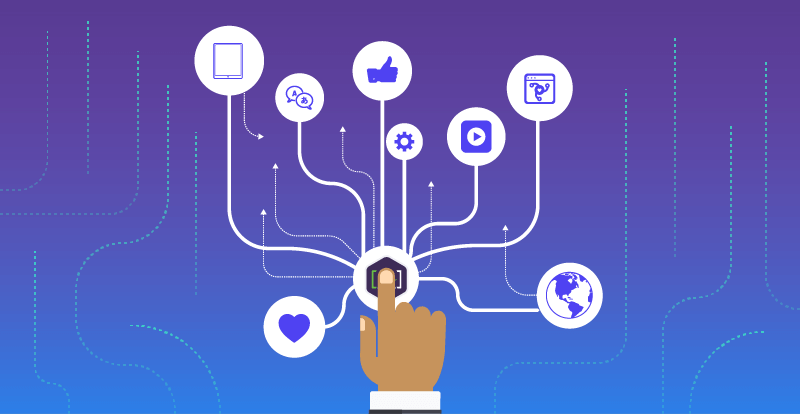 Then reach out to connect to the content within related content ecosystems of customers, partners, vendors, and even competitors. Those of us in the content industry, or anyone involved in content publishing inside an enterprise, can seamlessly build this semantic intelligence into our content sets, but not overnight. A nimble structure for knowledge takes discipline and the application of patterns over time. It is through the practice of content engineering, in connection with smart content strategy, that allows content ecosystems to be designed for these rich semantic connections. Learn more about building a content engineering practice here. Why Should We Invest in Making Our Content Semantic? The spread of the Semantic Web and the technologies it brings to the table puts the analytical powers of machines to work in the domains of content production, management, learning, support, media, ecommerce, scientific research, knowledge management, and publishing in general. Anywhere we express knowledge will become semantic. Content discovery and presentation on Google and Bing is only the tip of the iceberg, although SEO and SERP-placement might be reason enough. When it comes to the applications of intelligent content, semantic search and smart devices, the emerging semantic web of content and data is a massive opportunity to tap into. Careers, companies, and global innovation leaders will continue to be born on the Semantic Web. One could say that the Semantic Web is the technological backbone of the evolving content order, bringing together omnichannel content with semantics, structure, and shared standards. In order to engineer in such a way that we are planning for the changing content ecosystems, we need to understand the significance of semantic data connections and begin to incrementally embed semantic metadata and relationships into every piece of content we design. Though the formation of the Semantic Web is a challenging and constantly evolving construct, one thing remains constant: it is steadily leading the communication between people, software agents and devices towards intelligent content infrastructures and a smarter collaborative future for humans. Learn how to maximize the ROI of chatbots with structured content you already own.